With a range that’s designed to allow you to find your own personal style, H&M has fun, stylish clothes and accessories for every occasion. From modern basics to high fashion, the collections are broad and varied and new items come into the store every day. So if you love getting dressed up and are always on the lookout for the next hot trend, you’ll find it at H&M. 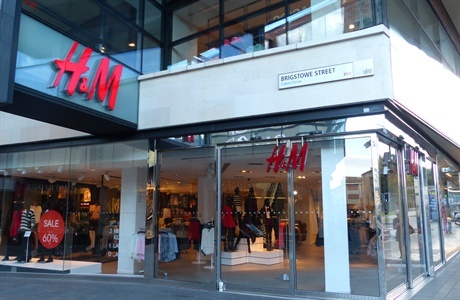 Each time you make a donation of unwanted clothing at H&M Broadmead or H&M Cabot Circus, you can claim a voucher to spend against your next purchase. This also applies at Monki in Cabot Circus.